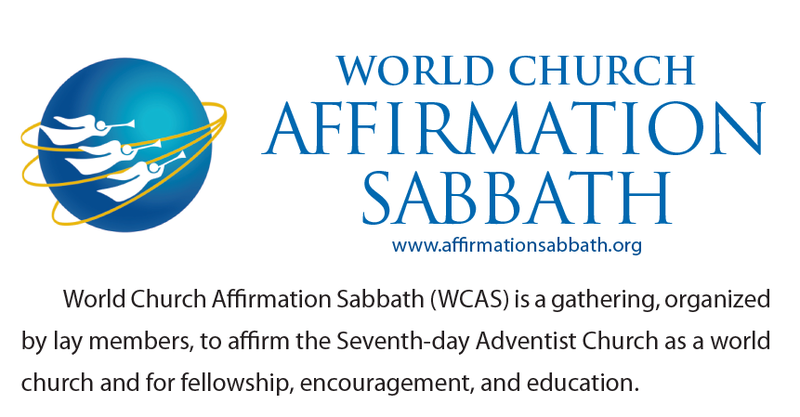 World Church Affirmation Sabbath (WCAS) celebrates growth and its mission as we announce our “seventh” WCAS to be held on February 16, “simultaneously,” in nine churches/alternative venues in five states. Our growth has occurred despite the “official position” voted by two conferences (Upper Columbia and Texico Conference) banning all WCAS events within their territories. Our mission continues because it is Biblical. The unexpected “ban” gave a unique boost to WCAS as it encouraged two groups to quickly form in support of the world church after the ban was publically announced. They will participate in the February 16 event along with other established WCAS groups. Several additional church groups have reached out to WCAS hoping to be a part of a future event scheduled for May 4. What does the “ban” mean today for WCAS? It means a lot of extra work and expense. A “ban” means scheduling/funding alternative venues; no live-streaming events; no verbal announcements in church; no bulletin announcements/inserts; no ads on school/church bulletin boards, local ABC’s; creating/posting signs nearby (off church property). A “ban” essentially cuts off communication. But God is in charge. We have word of mouth, telephones, texting, email, social media and sharing this Fulcrum7 article to make more people aware that they are invited and welcome to attend WCAS.